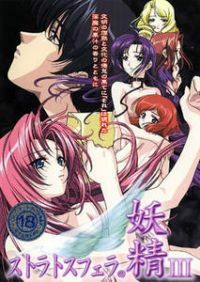 Nymphs of the Stratosphere 0 out of 5 based on 0 ratings. 0 user reviews. In the near future, the world as we know it has been spoiled by our negligence. From the stratosphere come five beautiful nymphs in the shape of angels, bearing the fragrance of forbidden fruit. It appears their desire is to bring pleasure to the devastated human race. A young programmer working late spots one of the beautiful girls on his balcony, peeping on a couple across the way. Once she departs he is surprised to find the scent of fruit lingering in the air. He knows he must pursue her, what he is yet to discover is that she’s not of this Earth!